Instant Pot is sort of like the Apple of kitchen gadgets. These awesome multi-use cookers are best-sellers all year round despite being quite pricey. And then when the rare opportunity to buy one at a discount rolls around, they fly off store shelves faster than you can even imagine. Instant Pots were top-sellers once again on Black Friday, which isn’t much of a surprise considering how great the deals were. But don’t worry if you missed out on the Black Friday deals, because three new bargains have popped up for Cyber Monday 2018 and they’re just as good. 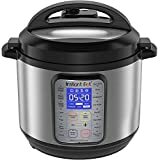 First up, we have an Instant Pot model that pretty much never goes on sale. 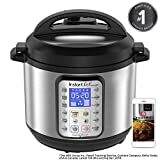 It’s the Instant Pot Smart WiFi 6 Quart Electric Pressure Cooker, which is the only Instant Pot that can connect to your smartphone so you can control and monitor your cooks from anywhere. It retails for $150, but it’s just $89.95 on sale for Cyber Monday. 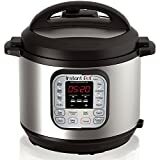 On top of that, you’ve got two more Instant Pots to choose from and they’re both best sellers — the Instant Pot DUO60 6 Qt 7-in-1 Multi-Use Programmable Pressure Cooker for $69.95, or the Instant Pot DUO Plus 60, 6 Qt 9-in-1 Multi- Use Programmable Pressure Cooker for $79.95, which is a big $50 discount. All three of these Instant Pot deals are at risk of selling out, so get in on the action while you still can.